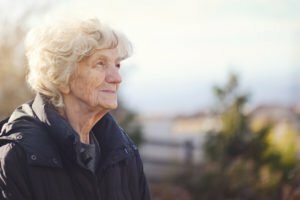 Caring for a senior with Alzheimer’s disease can seem like attempting to solve a constantly changing puzzle. Once you determine the solution to one segment, you discover that the picture has changed, and you need to reconsider your plan of action. Be a care advocate for your family member, offering emotional assistance and encouragement. Help plan for the long-term. Offer memory prompts, establish a daily schedule, and help the person stay healthy and participate in what he or she enjoys. Maintain daily routines and structure. Improve quality of life by doing uncomplicated activities together, like gardening or taking a walk. Promote as much self-reliance as possible, but be prepared to help when needed. Remain connected and express caring through touch, sound, sight, taste and smell. Provide support with eating and toileting, and with alleviating body pressure if the individual is bedridden. Be conscious of unspoken cues such as paleness, swelling, agitation or wincing facial expressions that can identify discomfort. The most important way to provide care for and support your loved one through the levels of Alzheimer’s is by taking care of yourself. Acknowledge that you can’t do it all alone, and permit others the opportunity to assist, making sure to take time away frequently to rest and recharge. Working with a professional home care agency experienced in dementia and Alzheimer’s care, such as Hired Hands Homecare, provides for a smoother journey through the process, helping both the care recipient and his or her family caregivers. Contact the California senior care professionals of Hired Hands Homecare at (866) 940-4343 for additional information on our specialized Alzheimer’s or dementia support and customized caregiving tips.